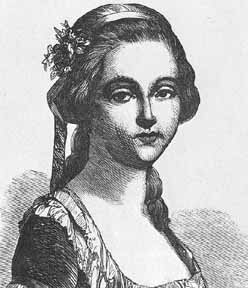 According to Lesley Blanch, author of The Wilder Shores of Love, the Caribbean island of Martinique had something in the air “which bred a race of queens.” She lists four women who, in some way or another, became the consorts of French rulers: Madame de Maintenon, the morganatic wife of Louis XIV, Rose Tascher de la Pagerie, who would become Josephine, Empress of the French; and Josephine’s daughter, Hortense de Beauharnais, who would marry Napoleon’s brother Louis and become Queen of Holland. But it is the fourth about whom very little is known, and yet who is the most fascinating of all. While her cousin Josephine ruled as an empress in the West, so did she rule as an empress in the East, but not under the name she had been born with. 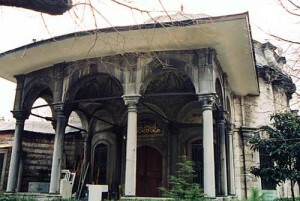 She was Valide Sultane, the Veiled Crown, or Queen Mother, of the Ottoman Empire. You will be sent to Europe to complete your schooling. Your ship will be seized by Corsairs. You will be taken captive and placed in a Seraglio. There you will give birth to a son. This son will reign gloriously, but the steps of his throne will be dyed with the blood of his predecessor. As to you, you will never taste the outward honors of the Court, but you will live in a great and splendid palace where you will reign supreme. At the very hour when you know your happiness is won, that happiness will fade like a dream, and a lingering illness will carry you to your tomb. She became consort and later wife of Sultan Abu Hamid, and she bore him a son, the future sultan Mahmoud. After the death of Abu Hamid, his son Selim ascended the throne, and the widowed sultana became his confidante and perhaps his lover. Nakshedil taught Selim French, and it was her influence that led to many reforms during Selim’s reign: Selim sought to treat with France and sent a permanent ambassador to Paris. He also started a French language newspaper and allowed the palace to be decorated in a more Western style; these were both attributed to Nakshedil’s influence over the Sultan. However, these reforms angered the Janissaries, who assisted Abu Hamid’s other son, Mustapha, in taking over the throne, deposing and killing Selim. Mustapha had sought to kill Mahmoud, but Nakshedil was able to hide her son, and he became Sultan after Mustapha was deposed and killed during a rebellion. 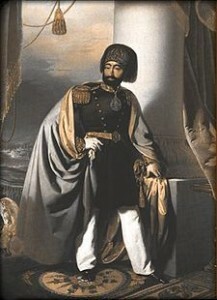 As Sultan, Mahmoud himself showed a great interest in bringing Western practices into the Ottoman Empire, and his reforms reflected this, such as the addition of the fez to the Ottoman military uniform. Much of this has been attributed as well to the influence of his mother, the Valide Sultane. She assisted her son in his reign until her death in 1817. At this moment, her son called a priest – a Father Chrysostome – to the palace so that Nakshedil could receive her last rites as a Catholic woman. It is important to note that while the story is quite romantic, and while the idea of two cousins ruling as empresses of two great superpowers is an interesting one, there is little to no evidence to support it. 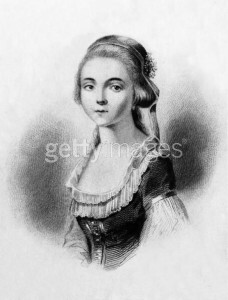 For one, based on my own research, there are two women who would have gone by the name of Aimee in the Dubuc de Rivery family, and Marie-Marthe-Aimee Dubuc de Rivery was too old to be the Aimee in the story. Based on the genealogical work shown here, it appears that the Aimee in question was really Aimee Augustine Marie Josephe Dubuc de Rivery, who was born in 1776 and who was lost at sea. There was no way that she could have been Mahmoud’s mother, since he was born in 1785, and it has been established that his mother was a “woman”¦from the Caucasus region.” (Wikipedia) And Josephine herself was not the most credible person in the world; it was said that she told the story to charm and impress guests; there is not even much in the way of documents showing how Josephine’s and Aimee’s families were related. How, then, could she have become Valide Sultane without really even being his mother, if this was the case? She was remarked”¦above the other Kadines for the beauty of her coloring, her fair skin, and her pale golden hair. It seems she was always dressed resplendently, a la Turque. On her head, and tilted to one side, she wore a tiny, flat pillbox cap, blazing with jewels. Her flowing hair fell to her waist, and was powdered with diamonds which trembled among the gold and seemed scattered carelessly, but were, in fact, cunningly attached by fine golden chains. What, then, was the end for Aimee Dubuc de Rivery? Was she simply some poor soul lost at sea, or was she one of those for whom, Blanch writes, “character plus opportunity equals fortune?” I would like to think the latter, that young Aimee Augustine was captured by corsairs and was sold into the seraglio, that she survived the political intrigues of the Ottoman Empire with as much determination and grit as her own cousin did the dark days of the Reign of Terror. But then everyone loves a good historical mystery, a riddle that makes us wonder about the unknown fates of the disappeared. And while I would like to imagine a sort of fairy-tale ending in which the heroine might have reached some contentment, I also know that there is just as much of a chance that such an end might not have been the case. For further reading on Aimee, I would suggest the following: The Wilder Shores of Love by Lesley Blanch. There are also many fictional works about her, including Valide by Barbara Chase-Riboud, Aimee by Margaret Lathrop Law, Sultana by Prince Michael of Greece, and Seraglio by Janet Wallach. The film Intimate Power, based on Sultana, is the only movie that I know of about her, but it is truly terrible; I have seen better acting in a Lifetime movie than this little gem of badness. So what do you believe might have happened to Aimee? Or are there any other mysteries in history that you find fascinating and that you would like to know the answers to? Previous Previous post: Coming Soon: Omnomlet Month!